Isabell Vincent, age 83, of Holland, passed away, Sunday, July 15, 2018. 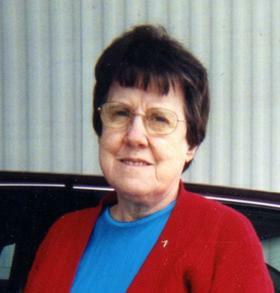 Isabell was born in Afton, MI, moved to the Holland area in 1962, and retired from Lifesavers. She was preceded in death by her husband, Henry in 1989; daughter, Sharon Vincent in 1957; a son, James in 1960; and a granddaughter, Lisa Hardin in 2006. Surviving are her children; Kaye Hershberger of West Olive and Gary Vincent of Monterey, CA; 3 grandchildren, Kristy Hardin, Julie and Noah Olsen, and Missy Hardin; 10 great-grandchildren; 1 great-great-grandson; brothers, sister, nephews, nieces, and cousins. Visitation will be 6-8 pm Friday (July 20) at the Dykstra Funeral Home-Northwood Chapel, 295 Douglas Avenue. Funeral and burial will be in Indian River, MI.